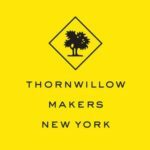 This post also appeared on the Good Men Project site on June 7, 2017. There are many men who inwardly feel the justice of equal suffrage, but who are not ready to acknowledge it publicly, unless backed by numbers. There are other men who are not even ready to give the subject consideration until they see that a large number of men are willing to be counted in favor of it. The man who is so prejudice that he will not consider it at all will pass away with this generation if not sooner. The usefulness of the Men’s Leagues politically to women constitutes one of the unanswerable arguments for woman suffrage. Legislators are mainly responsible to voters, and voters only. In the majority of States in this country, earnest determined women are besieging the Legislatures, endeavoring to bring about the submission of a woman suffrage amendment to the people. How long and burdensome is this effort on the part of non-voters, everyone knows. If a well-organized minority of men voters demand equal suffrage legislation from the Legislatures they will get it. After that, it is only a question of propaganda, and the men’s Leagues come in again on the first proposition of moral support. The great educational work in the woman’s movement has been done by women, th[r]ough a vast expenditure of energy and against great odds. There is still work to be done and hard work. We men can make it easier and happier work if we join in it, and no longer stand aside, as too many men have done, leaving the women to toil and struggle, making up in vital energy what they lack in political power. As statements of purpose go, I would submit that the Men’s League’s could well serve as a primer for any ally, or organized group of allies, who want to support a cause not readily considered their own. Just imagine men today of such political, social, and financial reach organizing of their own volition once again, now, a hundred years later, in concrete, active support of a perceived women’s cause. Think equal pay for equal work or family leave or against sexual trafficking and violence against women. 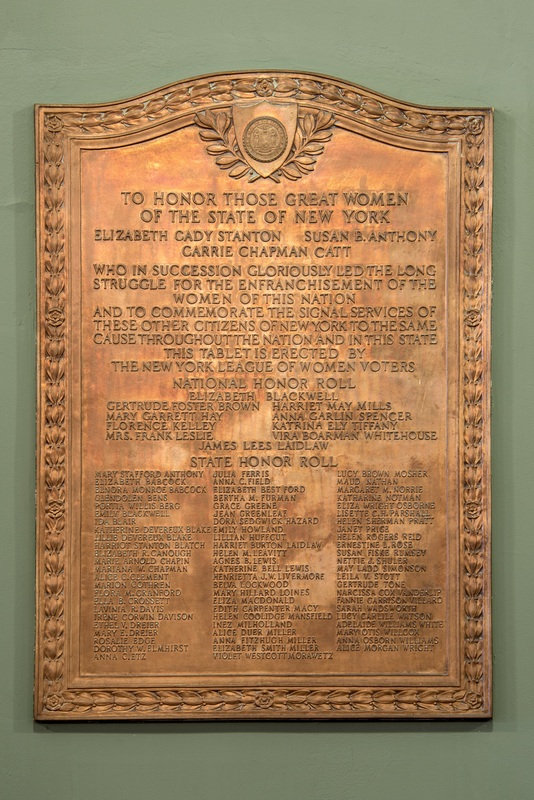 The photograph just above is of the bronze plaque that hangs in the State Street Side lobby of the state capital building in Albany, New York, a tribute to the eighty-three most important women of the state’s seventy-year-long suffrage campaign and one man, James Lees Laidlaw, honored among the ten suffragists listed on the plaque’s “National Honor Roll.” The others in the national grouping with him are Gertrude Foster Brown , Mary Garrett Hay, Florence Kelley, Mrs. Frank Leslie, Harriet May Mills, Anna Garlin Spencer, Katrina Ely Tiffany, and Vira Boarman Whitehouse, whose husband, James Norman de Rapelye Whitehouse, was active in the Men’s League, as were the husbands of two on the plaque’s “State Honor Roll,” Narcissa Cox Vanderlip, wife of Frank Vanderlip, and Maud Nathan Nathan, married to Frederick Nathan.